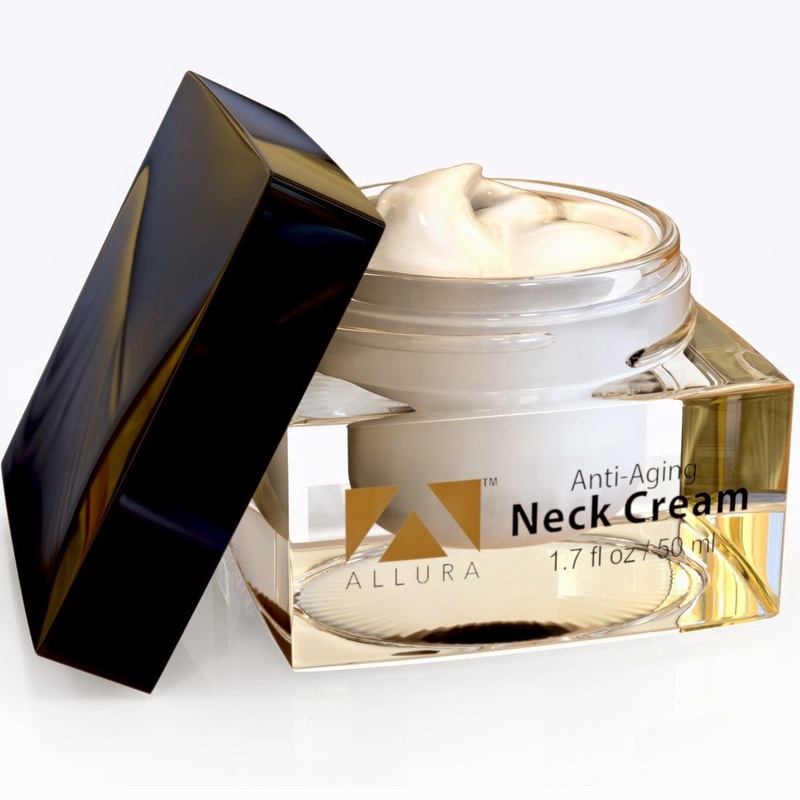 Homemaker Highlights: Allura Anti-Aging Neck Cream Review. Allura Anti-Aging Neck Cream Review. I was sent this item in return for my honest opinion. I was recently sent the Allura Anti-aging Neck Cream to review and was totally blown away by the packaging. Look how sleek and luxurious it looks! It would look beautiful on your vanity. It is made with glycolic acid to aid in exfoliating dead skin cells trapped beneath your skin. It's formulated with malic acid to help smooth your skin and tighten pores. It's also infused with organic aloe, organic coconut oil, organic argan oil, vitamin E, and shea butter. This gives wonderful hydration to your neck. It contains no parabens or sulfates. I found the cream to be extremely hydrating and smooth to apply. I think it's a great product to add to any beauty care routine and it helps with an area that we forget to pay attention to. To order or learn more about this product click HERE.